The 2014 Los Angeles Dodgers season was the 125th for the franchise in Major League Baseball, and their 57th season in Los Angeles. On April 30, the Dodgers picked up their 10,000th win since joining the National League in 1890. They proceeded to win their second straight NL West championship but lost in four games to the St. Louis Cardinals in the Division Series. Several players had excellent years: Adrian Gonzalez led the major leagues in runs batted in; Dee Gordon led the major leagues in stolen bases and triples and Clayton Kershaw led the major leagues in earned run average and wins. In addition, both Kershaw and Josh Beckett pitched no-hitters during the season. Kershaw won the NL Cy Young Award and the NL MVP Award, making him the first National League player to win both awards in the same season since Bob Gibson in 1968. Former Dodger Orel Hershiser joined the team's broadcast crew for 2014. After the 2013 season, the Dodgers ended their broadcast agreements with Prime Ticket and KCAL-TV. They entered into an agreement with Time Warner Cable to start their own regional sports network, to be called SportsNet LA, to begin with the 2014 season. This marked the end of over-the-air broadcasts of Dodger games, which had begun in 1949. On October 12, 2013, they announced that they would not be retaining the broadcasting team of Steve Lyons and Eric Collins who had worked road games for the team since 2005 (Lyons) and 2009 (Collins). On December 2, 2013, the team announced that former Dodger Nomar Garciaparra would be part of the new broadcast team. On December 8, it was announced that Orel Hershiser would also be joining the broadcast team as a television game analyst for road games and that Alanna Rizzo would be joining the pre and post game shows. On December 11, Jerry Hairston, Jr. announced that he was retiring from baseball to join the Dodgers pre and post game broadcasting team. On January 22, 2014, it was announced that KLAC radio announcer Charley Steiner would move to the TV booth to call road games with Hershiser, while Garciaparra would call road radio broadcasts with Rick Monday. Vin Scully, in his 65th year with the Dodgers, would continue to call all home telecasts as well as road games from Arizona and San Francisco. The new network officially launched on February 25, 2014. However, a season long dispute between Time Warner Cable and other content providers, most notably DirecTV, led to the new channel only being available in homes that were served by Time Warner Cable itself. In September 2014, it was announced that in response to the lack of carriage for SportsNet LA, the Dodgers' final six games of the regular season would be aired by local independent station KDOC-TV—an over-the-air channel that is carried by all major television providers in the region. As a result of their lack of distribution carriage for the 2014 season, the Dodgers saw a 70% drop in television ratings compared to the previous season when they were on Prime Ticket and the poorest cable performance by the team since at least the mid-1990s. The ratings for Dodger games were second lowest in the Majors, ahead of only the Houston Astros, who had similar issues with their cable provider, CSN Houston. On October 21, 2013, the team announced that Head Athletic Trainer Sue Falsone, the first woman to hold that position in a Major sport, would be stepping down to pursue other opportunities. The following day, the team fired bench coach Trey Hillman, who had been on the staff since 2011. The team also announced that they had chosen to pick up the options on pitching coach Rick Honeycutt, and base coaches Davey Lopes and Tim Wallach, bringing them back for 2014. On November 11, the team announced that Wallach would be promoted to the vacant bench coach position and that AAA Albuquerque manager Lorenzo Bundy would become the new third base coach. They also confirmed that manager Don Mattingly and the rest of the coaching staff would be retained for 2014. 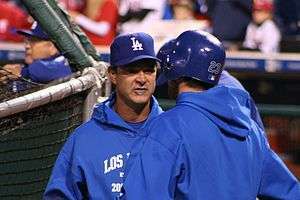 Mattingly agreed to a three-year extension on January 7. On October 31, 2013, several Dodgers automatically became free agents the morning after the 2013 World Series ended. They included pitchers J. P. Howell, Carlos Mármol, Ricky Nolasco, Edinson Vólquez, and Brian Wilson, third baseman Juan Uribe and utility players Jerry Hairston, Jr., Nick Punto, Skip Schumaker, and Michael Young. The same day, the Dodgers declined their 2014 options on second baseman Mark Ellis and pitcher Chris Capuano, making them both free agents as well. Utility player Elián Herrera was claimed off waivers by the Milwaukee Brewers on November 5. On November 20, relief pitcher Shawn Tolleson was claimed off waivers by the Texas Rangers. On December 3, the Dodgers chose not to tender a contract to arbitration-eligible pitcher Ronald Belisario, making him a free agent. On October 23, 2013, the Dodgers traded OF Alex Castellanos to the Boston Red Sox in exchange for minor league OF Jeremy Hazelbaker and cash. The Dodgers acquired RHP Seth Rosin from the New York Mets on December 12, 2013, after the Mets selected him from the Philadelphia Phillies in the Rule 5 draft. Cuban infielder Alexander Guerrero was signed to a free agent contract in the off-season. On October 22, 2013, the Dodgers announced the signing of Cuban middle-infielder Alexander Guerrero to a four-year deal, worth $32 million with incentives. On November 25, the Dodgers announced the signing of pitcher Dan Haren to a one-year, $10 million contract, that included a vesting player option for 2015. On December 5, the Dodgers re-signed relief pitcher Brian Wilson to a one-year, $10 million contract, that included a player option for 2015 and on December 14, they agreed to terms with third baseman Juan Uribe on a two-year, $15 million, extension. On December 17, relief pitcher J. P. Howell re-signed on a two-year, $11.25 million, contract. The team added to an already deep bullpen on December 23, by agreeing to separate one-year contracts with Jamey Wright and Chris Perez. On January 15, 2014, the Dodgers agreed to a seven-year, $215 million, contract extension with pitcher Clayton Kershaw. The deal was the largest contract for a pitcher, eclipsing Justin Verlander's deal from the previous year. Erisbel Arruebarrena signed as a free agent with the Dodgers during spring training. Spring training for the 2014 Dodgers began on February 8 when pitchers and catchers reported to Camelback Ranch in Glendale, Arizona. On the first day of camp, the team also announced that they had signed left handed pitcher Paul Maholm to a one-year contract. 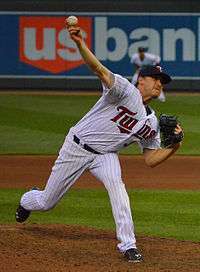 Maholm would compete with Josh Beckett, who missed most of the previous season with an injury, for the fifth starter spot. On February 22, the Dodgers signed Cuban shortstop Erisbel Arruebarrena to a 5-year $25 million contract and designated infielder Justin Sellers for assignment. Due to Major League Baseball scheduling the Dodgers to open the season with a couple of games in Sydney, Australia on March 22, the team had an abbreviated spring training. Starting pitcher Zack Greinke injured his calf in his first spring training start, and was ruled out for the opening series. Outfielder Matt Kemp, recovering from off-season ankle surgery, spent most of the spring training rehabbing and was also ruled out for the opening series. On March 9, the team announced that Clayton Kershaw and Hyun-jin Ryu would start the two games in Australia against the Arizona Diamondbacks. The Dodgers primary position battle in spring training was for the second base job, left open by the departure of the 2013 starter Mark Ellis. Cuban defector Alexander Guerrero was the favorite to land the spot at the start of camp, but concerns about his defense opened up the competition. Dee Gordon, who had primarily played shortstop in the past as well as non-roster candidates Justin Turner and Chone Figgins got time at the position during camp. At the end of camp, both Turner and Figgins had their contracts purchased and were added to the 40 man roster, while reliever Javy Guerra was designated for assignment. The team had a record of 6–10–5 during the Cactus League schedule, which concluded on March 16, when the team left Arizona to fly to Australia. 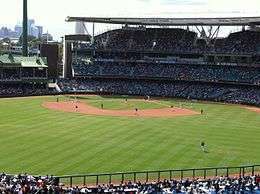 This season, Major League Baseball scheduled the Dodgers and Arizona Diamondbacks to open the season with a two-game series at the Sydney Cricket Ground in Australia. As a result, both teams began spring training earlier than usual and played abbreviated Cactus League schedules before flying to Australia for the series. Several members of the Dodgers organization expressed their dislike of the way the trip would impact their normal-preseason routine and their concern over the travel. As a result, the media started portraying the Dodgers in a negative light, contrasted with the Diamondbacks seemingly supportive stance on the trip. A few days before the start of the series, the Dodgers played an exhibition game against the Australian national baseball team. Clayton Kershaw made his fourth straight opening day start for the Dodgers, joining Don Drysdale, Don Sutton, Fernando Valenzuela and Ramón Martínez as the only Dodgers to do so. 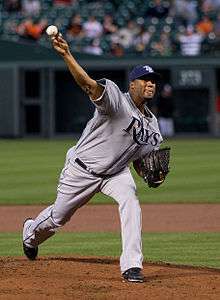 He allowed a run for the first time in 25 opening day innings, but still struck out seven in 6.2 innings for the 3–1 win. Scott Van Slyke homered and doubled to pace the offense. In the second game, Hyun-jin Ryu pitched five scoreless innings while striking out five. Yasiel Puig was 3 for 5 with an RBI double, Dee Gordon had three hits, an RBI and scored twice and Juan Uribe also had three hits and an RBI. The bullpen struggled and let the Diamondbacks get back into the game after trailing by seven runs, but the Dodgers won 7–5 to sweep the two game opening series. The Dodgers returned to Los Angeles to play the Freeway Series, three exhibitions against the Los Angeles Angels. During that period, they discovered that Kershaw had a sore back, which would keep him from starting the domestic opener, and sent him to the disabled list for the first time in his career. When the season resumed, on March 30, at Petco Park, Hyun-jin Ryu pitched another seven shutout innings as the Dodgers pulled ahead 1–0. However, the bullpen faltered as Brian Wilson allowed three runs in the eighth without recording an out and the team lost 3–1 to the San Diego Padres. A 2-run homer by Yasiel Puig led the Dodgers to a 3–2 win the next day as Zack Greinke picked up his first win of the season. Dan Haren made his Dodgers debut on April 3, allowing one unearned run on four hits with six strikeouts and no walks in a 5–1 win against the Padres. The Dodgers returned to Dodger Stadium for their home opener on April 4. However, Ryu was hit hard and the San Francisco Giants jumped to an early 8–0 lead after the second inning and held on to win 8–4. A three-run homer by Pablo Sandoval and 10 strikeouts by Madison Bumgarner led the Giants to a 7–2 rout of the Dodgers the next day. Zack Greinke struck out eight in 10 innings on April 6 and the Dodgers got two-home run games from both Matt Kemp and Hanley Ramírez to beat the Giants 6–2 in the final game of the series. A walk-off double by Carl Crawford in the 10th inning gave the Dodgers a 3–2 win over the Detroit Tigers on April 8. 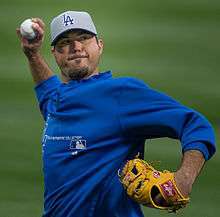 Josh Beckett returned from the disabled list to make his first start of the season on April 8. He struggled but the Dodgers came from behind to send the game into extra innings only to lose 7–6 in 10 innings. Zack Greinke was a perfect 5–0 in the month of April. The Dodgers traveled to Chase Field to play the Diamondbacks on April 11. Adrian Gonzalez was 3 for 4 with 5 RBI and a homer as the Dodgers won 6–0 in the opener of the series. Greinke picked up his third win of the season when he pitched 5⅓ innings while allowing only one run and striking out eight the next night. Gonzalez hit a two-run homer in the game. The Dodgers won 8–5, despite Brandon League allowing three runs to score in the ninth. Gonzalez, Kemp and Juan Uribe all homered as the Dodgers completed the sweep of the Diamondbacks 8–6. The Dodgers next dropped the opener of a three-game series at AT&T Park to the Giants in 12 innings. The Giants also won the next game, 2–1, despite an effective start by Paul Maholm, who allowed only one run in six innings. Ryu pitched seven scoreless innings in the series finale as the Dodgers won 2–1, he became the fist Dodger pitcher since Orel Hershiser in 1988 to pitch four consecutive scoreless road starts. The Dodgers returned home on April 18 for another series with the Diamondbacks. They lost the first game of the series 4–2 in 12 innings. This was the third straight home extra innings game, matching the longest streak at Dodger Stadium (the last of which was in 1982 against the Braves). A three-run homer by Andre Ethier paced the team the next day as they won 8–6. Puig hit a 3-run homer in a 4–1 win in the series finale. Cliff Lee dominated the Dodgers 7–0 as the Philadelphia Phillies came to town next. A costly error in the 10th inning led to a 3–2 loss the next night. Greinke picked up his 4th win while striking out 11 in seven-plus innings on April 23. Puig tripled and Hanley Ramírez hit a homer and double to pace the offense in the 5–2 win over the Phillies. Brian Wilson allowed four runs in the ninth inning as the Phillies took the final game of the series, 7–3. Josh Beckett was brilliant on April 25 against the Colorado Rockies, striking out six and allowing only two runs in eight innings. However, the Dodgers dropped another extra innings contest, 5–4. Kemp and Gonzalez both homered in the Dodgers 6–3 the next day. Ryu was pounded in the final game of the homestand and the Dodgers lost to the Rockies 6–1. The Dodgers went back on the road, to cold and wet Minnesota, where the first game of the series against the Minnesota Twins on April 29 was postponed because of the poor weather, rescheduled as part of a double-header two days later. The action got back under way on April 30 at Target Field as Zack Greinke improved to 5–0 on the season and the Dodgers racked up their 10,000th win since joining the National League with a 6–4 victory. Yasiel Puig and Juan Uribe had four hits each and Dan Haren picked up his fourth win of the season (with no losses) in the Dodgers 9–4 victory in game one of the doubleheader against the Twins on May 1. The Dodgers called up minor league pitcher Red Patterson to start the second game of the doubleheader. Solo homers by Scott Van Slyke and Drew Butera in the 12th inning led to a 4–3 win and a sweep of the inter-league series. The Dodgers traveled to Miami for a series against the Marlins at Marlins Park. The tired team fell behind 6–0 in the opener, staged a late rally but lost 6–3. On May 3, Dee Gordon had five hits and three steals and Carl Crawford hit a two-run homer in the 11th inning to give the Dodgers a 9–7 win. A walk-off double by Jeff Baker gave the Marlins a 5–4 win in the last game of the series. The Dodgers sat through a three-hour rain delay in the middle of their series opener against the Washington Nationals at Nationals Park only to lose 4–0 when the offense took a day off. Clayton Kershaw returned from the disabled list and pitched seven scoreless innings while striking out nine in the Dodgers 8–3 win. Dan Haren lost for the first time in the final game of the road trip, as the Dodgers offense was stymied by Stephen Strasburg and they lost 3–2. The Dodgers returned home to drop the opener of a four-game series against the Giants, 3–1, in 10 innings as the struggling bullpen walked three batters in that inning. The losing streak hit three games in a row as Madison Bumgarner stymied their offense in another 3–1 defeat. The Dodgers won the next game in the series, 6–2 thanks to a strong effort from lead-off hitter Dee Gordon. He had two hits, scored two runs, stole three bases and had the tie-breaking RBI double in the seventh inning. The Dodgers staged a late inning comeback to send the series finale into extra innings but the bullpen faltered again and they lost 7–4. A 3-run homer by Puig carried the Dodgers to a 6–5 victory over the Marlins on May 12. Josh Beckett picked up his first win since September 30, 2012, the next day, as the Dodgers defeated the Marlins 7–1. Paul Maholm was awful the next day, giving up 10 runs on 11 hits as the team was blown out 13–3. Back on the road against the Diamondbacks, Puig and Van Slyke each homered and Greinke picked up his league leading seventh run in the 7–0 win. On May 17, Kershaw had the shortest start of his career, lasting only 1⅔ innings and allowing seven runs in what became an 18–7 loss. Poor defense contributed to a 5–3 loss in the series finale. The team next traveled to Citi Field for a series against the New York Mets. They won the opener 9–4 as Adrian Gonzalez had three hits, including a tie-breaking home run. He homered again the next day, as did Puig and Hanley Ramírez as Hyun-jin Ryu came off the disabled list to beat the Mets 4–3. However they lost the series finale, 5–3. Kershaw rebounded to pitch six shutout innings, sandwiched around a 45-minute rain delay, as the Dodgers won the opener of a series from the Philadelphia Phillies, 2–0, at Citizens Bank Park. More shoddy defense led to a 5–3 defeat the next day. The Dodgers ended the road trip with a 6–0 win over the Phillies as Josh Beckett pitched his first career no hitter, and the first by a Dodger pitcher since Hideo Nomo in 1996. The Dodgers returned home on Memorial Day and Ryu took a perfect game into the 8th inning against the Cincinnati Reds before allowing a lead-off double to Todd Frazier. The bullpen again struggled, and the Reds closed the gap before the Dodgers held on to win 4–3. Andre Ethier homered, tripled and drove in four runs in the 6–3 win over the Reds on the 27th as Grienke struck out 11 in his 7⅔ innings. Brandon Phillips hit a two-run homer in the 1st inning and the Reds held on to defeat the Dodgers 3–2 as the series wrapped up. They lost again the next day, 6–3, to the Pittsburgh Pirates. The Dodgers were shut down by Francisco Liriano in a 2–1 loss the following day. Hanley Ramírez woke up the Dodgers offense by going 4 for 4 with 2 homers and 5 RBI as the Dodgers routed the Pirates 12–2 to finish the month of May with a 15–15 record. June started off with a loss as Andrew McCutchen was 3 for 4 with two doubles and a home run in the Pirates 5–3 win over the Dodgers. Clayton Kershaw struck out nine while allowing only two runs in eight innings on June 2 against the Chicago White Sox and the Dodgers scored five unearned runs in the bottom of the sixth thanks to two White Sox errors to win 5–2. Two home runs, including a two-run blast by José Abreu, gave the White Sox a 4–1 win in the second game of the series. Two solo homers by the White Sox allowed them to beat the Dodgers, who only got two hits in the game, 2–1, as the homestand came to an end. Clayton Kershaw also pitched a no-hitter, on June 18 against the Rockies, striking out 15 in the game. 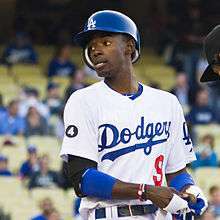 Dee Gordon had three hits, including two triples, in the Dodgers 7–2 win over the Colorado Rockies at Coors Field on June 6. He was the first Dodgers player with two triples in a game since Rafael Furcal in 2010. Tim Federowicz hit a three-run homer the next day, but the Dodgers still lost 5-4 in 10 innings on a walk-off triple by Brandon Barnes. The final game of the Rockies series was called off after 5½ innings because of rain but the Dodgers were credited with a 6–1 win. Clayton Kershaw struck out nine batters in the five innings, becoming the first pitcher in Major League history to record four straight games of exactly nine strikeouts. The game was the Dodgers first regulation game called before nine innings since a 2004 game that was also at Coors Field. Scott Van Slyke hit two home runs and drove in four on June 9 as the Dodgers beat the Cincinnati Reds 6–2 at Great American Ball Park. Josh Beckett threw six shutout innings and the Dodgers racked up 12 hits in a 6–1 win over the Reds after a two-hour rain delay before the second game of the series. The Dodgers struck out 12 times, managed only four hits, and were shut out 5–0 by Johnny Cueto on June 11 and wound up with a series split after dropping a day game the following day, 4–1. The team returned home on June 13 and Kershaw allowed only one run in seven innings while striking out seven and Matt Kemp homered as they beat the Arizona Diamondbacks 4–3. A two-run homer by Dee Gordon and a three-run double by Dan Haren helped the Dodgers to a 6–4 win the next night. Sloppy defense and base running errors contributed to a 6–3 loss in the last game of the series, on Father's Day. Gordon was 4 for 4 and scored twice in the Dodgers 6–1 win over the Rockies the next night. Matt Kemp moved into sixth place on the Dodgers all time homer list on June 18, passing Raúl Mondesí with his 164th, as the team won 4–2. On June 18, Kershaw pitched a complete game no-hitter against the Rockies and struck out a career-high 15 batters in the process. The Dodgers won 8–0. Combined with Beckett's earlier no-hitter, they were the first two Dodgers to throw no-hitters in the same season since Carl Erskine and Sal Maglie in 1956. The Dodgers next traveled down the freeway to open a three-game series against the San Diego Padres at Petco Park. Kenley Jansen blew the save and the game by allowing three runs in the ninth inning and the Padres walked off with a 6–5 win. Beckett pitched seven shutout innings while allowing only four hits and striking out eight in the Dodgers 4–2 win in the next game. Hyun-jin Ryu only allowed one run in six innings as the Dodgers won the series finale 2–1. The Dodgers next lost the opener of an interleague series at Kauffman Stadium against the Kansas City Royals, 5–3. In his next start, Kershaw pitched eight more shutout innings while striking out eight batters in a 2–0 win. They finished off the road-trip with a 5–4 win over the Royals, where the winning road scored when A. J. Ellis was hit by a pitch with the bases loaded in the top of the eighth. Back at Dodger Stadium, Josh Beckett engaged in a pitcher's duel with Adam Wainwright of the St. Louis Cardinals in a game that remained scoreless until a pinch hit RBI single by Justin Turner in the bottom of the eighth gave the Dodgers their one run in a 1–0 win. The Cardinals won the next night, 3–1, as the offense again sputtered. Zack Greinke picked up his 10th win of the season on June 28, when he struck out 10 in seven innings. The Dodgers offense exploded for 15 hits and nine runs as they picked up a 9–1 win. In the series finale, Kershaw struck out 13 in seven innings and extended his scoreless streak to 28 consecutive innings, the longest streak in Dodgers history since Orel Hershiser's record breaking 1988 season. The Dodgers won 6–0 to move into a share of first place with the Giants. The next night, Dan Haren allowed only one hit in seven shutout innings and Clint Robinson's first major league hit drove in the game's only run as the Dodgers beat the Cleveland Indians 1–0. After falling 9½ games back at the start of the month, the Dodgers ended the month of June with a half game lead over the Giants in the division. The Dodgers started July by being blown out by the Indians 10–3. They left 10 men on base, including stranding the bases loaded three times and hitting into a triple play. Hyun-jin Ryu allowed only two runs and two hits the next day, but the bullpen allowed three runs in the top of the eighth and the Dodgers lost 5–4. Zack Greinke allowed only two runs (one earned) in eight innings on July 3 at Coors Field and a Juan Uribe RBI single in the top of the ninth gave the Dodgers a 3–2 win over the Rockies. On the fourth of july, Clayton Kershaw allowed only two hits and no runs in eight innings while striking out eight in the team's 9-0 win. Dan Haren struck out a season high eight batters on July 5, but also allowed a season high eight runs and 10 hits. The Dodgers scored five runs in the fifth in an attempted comeback but fell one run short in an 8-7 loss. The Dodgers cruised to an 8-2 win in the series finale behind Josh Beckett's five scoreless innings. However, he walked three in the game which ended the Dodgers MLB record streak for consecutive starts with no more than two walks at 39. After the game, the Dodgers learned that they had four players selected to the 2014 Major League Baseball All-Star Game. Kershaw and Greinke were selected to the team, the fourth straight selection for Kershaw. Yasiel Puig was voted as a starter by the fan voting and Dee Gordon was selected as a reserve. Hyun-jin Ryu was unable to get out of the third inning as he allowed seven runs on ten hits and the Dodgers were pounded by the Detroit Tigers 14-5 at Comerica Park. Max Scherzer out dueled Greinke in a battle of former Cy Young Award winners and the Dodgers ended their road trip with a 4-1 loss to the Tigers. Back home, Kershaw pitched a three-hit complete game against the San Diego Padres on July 10. However, he allowed a run to score for the first time in nearly a month. He had pitched 41 consecutive scoreless innings, the third longest in Dodgers history behind Orel Hershiser and Don Drysdale. The Dodgers won 2-1. However, they lost 6-3 the next night as the bats were unable to solve rookie Jesse Hahn and Dan Haren struggled. 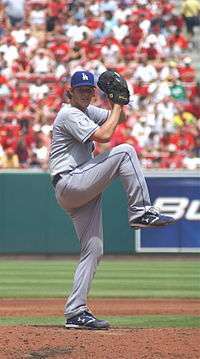 In the following game, Paul Maholm started for the Dodgers in place of the injured Josh Beckett and pitched six scoreless innings. Ian Kennedy pitched eight scoreless for the Padres to match him. A walk-off sacrifice fly by A. J. Ellis in the ninth led to the only run of the game in the Dodgers 1–0 victory. They won the following game, also 1-0, and the Dodgers headed into the All-Star break with the top record in the National League, 54-43. They resumed play on July 18 after the break with a 3–2 loss to the St. Louis Cardinals at Busch Stadium. 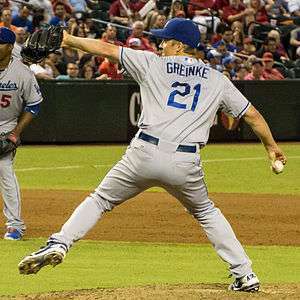 The next game, Grienke gave up four runs in the first inning and the Dodgers were shut down by Joe Kelly and lost 4–2. Kershaw struck out eight in seven innings in his next start, but allowed a costly two-run homer to Peter Bourjos. However, this time the Dodgers came back and won the game on a ninth-inning single by Adrian Gonzalez, 4–3. The Dodgers next traveled to Pittsburgh to open a three-game series at PNC Park. Hanley Ramírez and Yasiel Puig were both held out of most of the series against the Pirates due to injuries suffered in the Cardinals series. Still, Ryu pitched well in game one and the team won 5–2. Josh Beckett returned to the rotation after a brief stint on the disabled list but allowed four runs in only 3 2/3 innings and another bullpen implosion led to a 12–7 loss in the next game. Dan Haren lost his fourth straight start on July 23 as the Dodgers dropped the final game of the series 6–1. The Dodgers next traveled to AT&T Park for a crucial series against the San Francisco Giants. In the opener, Puig hit three triples, tying a franchise record set by Jimmy Sheckard in 1901. His 11 total bases in the game were career highs and the most by a Dodger since Kevin Elster has 12 in 2000. Zack Greinke struck out 10 in seven scoreless innings and the Dodgers cruised to an 8–1 win. Kershaw followed that up with a two-hit shutout for a 5–0 win. The Dodgers completed the sweep over the Giants with a 4–3 victory on July 27. The team returned home on July 29 to play the Atlanta Braves. Puig had four hits in five at-bats and Matt Kemp hit two home runs in the Dodgers' 8–4 win to secure the team's first four-game winning streak of the season. The Dodgers had nine extra base hits in the game, the most since September 18, 2006. In the next game, Kemp homered again and also hit a walk-off single in the 10th inning as the Dodgers won 3–2. Greinke struck out 13 in eight innings in the game, while walking only one. Kershaw pitched a nine strikeout complete game as the Dodgers swept the Braves 2–1 to end July with a six-game winning streak. Dan Haren's struggles continued as the calendar moved into August. He allowed seven runs in 4 1/3 innings as the Dodgers were blown out by the Chicago Cubs, 8–2, to snap the winning streak. Hanley Ramírez hit a walk-off homer the next day as the Dodgers won 5–2 in extra innings. Matt Kemp hit his fifth home run in six games on August 3, but poor pitching from Josh Beckett and several relief pitchers led to a 7–3 loss to the Cubs. The Los Angeles Angels of Anaheim jumped out to a quick lead in the first inning and Garrett Richards pitched a complete game shutout in their 5–0 win over the Dodgers in the opener of the next series. Juan Uribe hit a three-run homer the next night and the Dodgers won on a walk-off grounder by Andre Ethier for a 5–4 win. In an attempt to bolster the pitching staff, the Dodgers traded for Roberto Hernández and Kevin Correia in August. The series switched to Angel Stadium of Anaheim the following day and after five terrible starts that had fans calling for his head, Dan Haren picked up his first win in over a month, as the Dodgers won 2–1. He allowed only three hits in 7 1/3 innings. The Dodgers finished off the interleague series when Hyun-jin Ryu combined with two relievers on a two hit shutout as they won 7–0. After struggling in his last few starts, an MRI revealed that Josh Beckett had aggravated his injured hip and he returned to the disabled list. The Dodgers traded for Roberto Hernández, who started the opener of a series against the Milwaukee Brewers at Miller Park on August 8. He was solid, allowing only two runs over six innings, but a defensive meltdown in the seventh led to a disappointing 9–3 loss. Zack Greinke allowed four runs in six innings the next day and the Dodgers lost 4–1. Clayton Kershaw allowed only one run in eight innings as the Dodgers avoided the sweep with a 5–1 win. He upped his personal win streak to 11 games, the longest win streak by a Dodger starter since Orel Hershiser in 1985. Another recent trade acquisition, Kevin Correia started for the Dodgers at Turner Field against the Atlanta Braves on August 11. He allowed only one run in six innings while the Dodgers offense came up with enough runs in a 6–2 win. Another good performance by Dan Haren led to a 4–2 win the next day. The Braves took the next game in the series, 3–2, after the Dodgers hit into a game-ending double play with the bases loaded in the ninth. Dee Gordon scored four runs and stole two bases as the Dodgers won the series with a 6–4 victory on August 14. The Dodgers returned home for another series against the Brewers. A bullpen meltdown led to a 6–3 loss in the first game, with the Brewers scoring five of the runs in the eighth inning. In the next game, Kershaw pitched a complete game, striking out ten and allowing only five hits.. however two of the hits were homers and the team lost 3–2. It was Kershaw's first loss in 14 starts. Dan Haren lasted just three innings as the Brewers finished off a three-game series sweep of the Dodgers with a 7–2 rout in the series finale. Carl Crawford had three hits in three at-bats with a home run and a stolen base as the Dodgers ended their three-game losing streak with an 8–6 win over the San Diego Padres on August 19. Three Dodgers errors contributed to a 4–1 defeat the next day, but they won the final game of the series 2–1. Kershaw allowed only one run and three hits in eight innings while striking out 10 and a 2-run homer by Justin Turner in the 8th inning gave the Dodgers their first win of the season while trailing after the seventh inning. Haren bounced back, allowing only one run in seven innings as the Dodgers beat the New York Mets 6–2 on August 22. Adrian Gonzalez hit a three-run homer and had a season high five RBI in the Dodgers 7–4 win the following day. Kevin Correia unraveled in the third inning and allowed five runs thanks to two homers. The Dodgers were blown out 11–3 in the game. A couple of replay challenges helped the Dodgers put up six runs in the fourth inning as they beat the Arizona Diamondbacks 9–5 at Chase Field on August 26. Kershaw picked up his 16th win of the season the following day, and Kenley Jansen recorded his 100th career save as the Dodgers won 3–1 to sweep the brief two game series. The team then dropped the opening of a series against the Padres at Petco Park, 3–2 in 12 innings. In the second game, the team squandered a strong start by Zack Greinke and lost again in extra innings, on a walk-off hit by Alexi Amarista in the 10th inning. Hyun-jin Ryu came off the disabled list on August 31 and pitched seve strong innings and Adrian Gonzalez had four hits as the Dodgers avoided the sweep with a 7–2 win. The Dodgers began the month of September by hosting the Washington Nationals for a three-game series in a matchup of the teams with the top two records in the National League. In the first game, the Nationals hit four home runs off of Roberto Hernández, including two by Denard Span and they beat the Dodgers 6–4. Clayton Kershaw struck out eight batters the next night in eight innings, while allowing only a solo home run by Bryce Harper as the Dodgers won 4–1. In the process, Kershaw moved past the 200 strikeout mark for the fifth straight season, joining Sandy Koufax as the only Dodger pitchers to accomplish that, and just the fourth pitcher since 1893 to have at least five 200-strikeout seasons through an age-26 season (Bert Blyleven, Walter Johnson and Sam McDowell are the others). Kenley Jansen allowed three runs in the ninth to blow his save opportunity and the Nationals came back to defeat the Dodgers 8–5 in a 14 inning marathon. This was the Dodgers longest game of the year. After a much needed day off, they returned to action on September 5 with a 2–1 victory over the Diamondbacks. Dan Haren allowed one run on four hits in six innings and Matt Kemp homered in the win. Three hits and a key RBI single by Dee Gordon and a 2 RBI double by Hanley Ramírez helped the Dodgers win the next game, 5–2. Adrian Gonzalez homered twice and drove in six runs as the Dodgers completed the sweep of the Diamondbacks with a 7–2 win on September 7. Kershaw picked up his 18th win when he allowed only one earned run in eight innings as the Dodgers beat the San Diego Padres 9–4. The Dodgers four-game winning streak was snapped as Hanley Ramírez committed a couple of errors in the second inning and Roberto Hernández only lasted three innings as they lost the game 6–3. The Dodgers finished off the home stand with a 4–0 shutout of the Padres. Carl Crawford had four hits in four at-bats in the game with three doubles. That tied the Dodgers record for most doubles in a game, a mark last accomplished by Matt Kemp in 2011. Dan Haren pitched seven scoreless innings to pick up his 13th win and this was the first time the Dodgers had four starters with 13 or more wins since 1985 when Orel Hershiser, Fernando Valenzuela, Jerry Reuss and Bob Welch reached that mark. (left to right) Matt Kemp, A. J. Ellis (twice) and Yasiel Puig all homered in support of Clayton Kershaw's 20th victory. 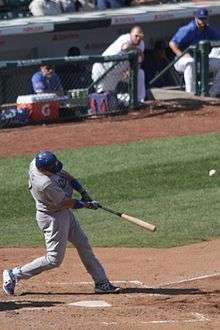 Swing of the home run pitch shown (Ellis' 2nd shown). The Dodgers, holding a two-game lead in the division, traveled up the coast to begin a key three game series against the team trailing them in the standings, the San Francisco Giants, at AT&T Park. Hyun-jin Ryu was tagged for four runs in the first before leaving the game with shoulder irritation in a contest the Dodgers lost 9–0. Hanley Ramírez did hit a double in the game which gave the Dodgers four players with at least 30 doubles (Gonzalez, Kemp and Puig were the others) for the first time since 2003 (Shawn Green, Paul Lo Duca, Jolbert Cabrera and Adrián Beltré). The Dodgers came back the next night and got even. They scored four runs in the first to knock Tim Hudson out of the game and cruised to a 17–0 victory. Zack Greinke allowed only four hits in six scoreless innings and also hit a double and a two-run homer. The game was the Dodgers most lopsided victory and most one-sided shutout against the Giants since the teams moved to the West Coast in 1958. The Dodgers had the most hits (24) by any team in AT&T Park history and the most hits by an opponent against the Giants since 1932. Dee Gordon also picked up his 60th stolen base in the game, the first Dodger to reach that mark since Juan Pierre in 2007. The two opposing shutouts equalled the largest consecutive shutout run differential since a game between the Chicago White Stockings and the Washington Nationals on May 27–28, 1886. Kershaw picked up his 19th win the following day, pitching eight innings while allowing two runs and striking out nine. He became the first Dodger starter to last at least eight innings in seven straight starts since Orel Hershiser in 1988. Matt Kemp hit a two run home run in the 4–2 win, the 177th of his career, tying Mike Piazza for fourth on the all-time L.A. Dodger list. They next traveled to Coors Field and blew out the Rockies 11–3. The following night, the Dodgers outhit the Rockies 16–9 but were unable to bring many runs in and lost 10–4 as they stranded 10 runners on base. In the final game of the series, Carlos Frías became the first pitcher in the modern era to allow 10 hits without getting at least three outs. The Dodgers were pounded 16–2. The Dodgers fell behind the Chicago Cubs in the next game, at Wrigley Field, but used a five run seventh inning to come back and win the game 8–4. The Dodgers scored six times in the first inning of the next game and A. J. Ellis his two home runs en route to a 14–5 victory over the Cubs. Kershaw picked up his 20th win of the season, joining Sandy Koufax, Don Drysdale and Claude Osteen as the only L.A. Dodger pitchers to have multiple 20 win seasons. Kershaw also joined Pedro Martínez as the only pitchers to win 20 games in less than 30 starts. The Dodgers clinched a playoff berth later that night when the Pittsburgh Pirates beat the Milwaukee Brewers. Adrian Gonzalez hit two home runs with five RBI in the September 20 game against the Cubs to pull out to a 6–2 lead but the bullpen faltered and the Cubs, led by two homers by Chris Coghlan came back to win 8–7. Matt Kemp homered with four hits and four RBI as the Dodgers finished up their last road trip of the regular season with a 8–5 victory over the Cubs. The Dodgers returned home on September 22 with a 4 1/2 game lead in the division to begin their final homestand of the season against the second place Giants before a crowd of 53,500, the largest in the Majors in 2014. Dan Haren allowed only one hit (a leadoff home run by Gregor Blanco) in his seven innings of work but the Dodgers defense coughed up three errors and the team failed to get a hit after the sixth inning. The Giants eventually won 5–2 in 13 innings. In the following game, Grienke pitched eight innings and Justin Turner hit two home runs as the Dodgers won 4–2 to cut their magic number to one. Clayton Kershaw struck out 11 while only allowing one run in eight innings and the Dodgers jumped on the Giants and won 9–1 on September 24 to clinch their second straight National League West division championship and home field advantage in the Divisional Round of the playoffs. With the team resting several regulars the next game, Scott Elbert picked up his first win in two years and the Dodgers beat the Rockies 7–4. Scott Van Slyke had two hits, two steals and scored the winning run on a wild pitch in the 12th inning as the Dodgers beat the Rockies 6–5 in the second to last game of the regular season. Juan Uribe managed the team in the season finale and they hit three home runs to finish off the Rockies 10–5. The Dodgers finished the regular season with a record of 94–68. The Dodgers took on the St. Louis Cardinals in the Division Series. This was the fourth meeting of the two clubs in the post-season in the last ten years, with the Cardinals having eliminated the Dodgers most recently in the 2013 National League Championship Series. In the first game, the Dodgers took a 6–1 lead, thanks to A. J. Ellis who had four hits, including a home run. Clayton Kershaw, who only allowed two hits in the first six innings (two solo homers), hit the wall in the seventh. The Cardinals loaded the bases on three singles and then Matt Carpenter cleared the bases with a double to give the Cardinals the lead. A three-run home run by Matt Holliday off relief pitcher Pedro Báez put the game away, though the Dodgers did mount a rally to make the final score 10–9. Kershaw with 10 strikeouts joined Sandy Koufax as the only Dodgers in history with multiple 10 strikeout games in the post-season, though he was also the first pitcher in history to allow eight runs while striking out 10. In game two, Zack Greinke shut out the Cardinals on two hits over seven innings, while striking out seven. Carpenter again provided the key blow for the Cardinals, with a two-run homer off reliever J. P. Howell in the eighth to tie up the game. Matt Kemp hit a solo homer in the bottom of the eighth to give the Dodgers back the lead and Kenley Jansen closed it out for a 3–2 win and even the series. Hyun-jin Ryu made the start for the Dodgers at Busch Stadium in Game 3, his first appearance since leaving a game against the Giants with an injury on September 12. He pitched well, allowing only one run (on another Carpenter homer) and four hits in six innings. However, the Dodgers were also only able to push across one run against Cardinals starter John Lackey. For the third straight game, the bullpen faltered. This time it was Scott Elbert who allowed a two-run homer to Kolten Wong, the difference maker in the 3–1 loss. In game four, Kershaw started on three-days rest and pitched a one-hit shutout threw the first six innings. The Dodgers took a 2–0 lead but in a repeat of the first game, it fell apart in the seventh. Matt Adams came up with two on and hit and three-run homer that was the decisive blow. The Cardinals won 3–2 and eliminated the Dodgers in the post-season for the second straight year. Adrian Gonzalez led the major leagues in runs batted in. Dee Gordon (pictured stealing) led the major leagues in stolen bases and triples. On March 19, placed RHP Chad Billingsley on the 15-day disabled list (recovery from Tommy John surgery), placed CF Matt Kemp on the 15-day disabled list (recovery from left ankle surgery) and placed RHP Josh Beckett on the 15-day disabled list (right thumb sprain). On March 21, placed LF Carl Crawford on paternity leave and optioned C Tim Federowicz to AAA Albuquerque. On March 25, activated LF Carl Crawford off the paternity list and optioned IF Alexander Guerrero to AAA Albuquerque. On March 26, RHP Seth Rosin was claimed off waivers by the Texas Rangers and RHP Javy Guerra was claimed off waivers by the Chicago White Sox. On March 30, optioned RHP José Dominguez to AAA Albuquerque and placed LHP Clayton Kershaw on the 15-day disabled list with back tightness. On April 2, placed RHP Brian Wilson on the 15-day disabled list with nerve irritation in his right elbow and recalled RHP José Dominguez from AAA Albuquerque. Claimed IF Carlos Triunfel off waivers from the Seattle Mariners and optioned him to AAA Albuquerque. On April 4, activated OF Matt Kemp from the 15-day disabled list and optioned OF Mike Baxter to AAA Albuquerque. On April 6, acquired LHP Colt Hynes from the Cleveland Indians in exchange for minor league pitcher Duke von Schamann and designated OF Mike Baxter for assignment. Optioned Hynes to AAA Albuquerque. On April 8, placed C A. J. Ellis on the 15-day disabled list with a torn meniscus in his left knee and recalled C Tim Federowicz from AAA Albuquerque. On April 9, activated RHP Josh Beckett from the 15-day disabled list and optioned RHP José Dominguez to AAA Albuquerque. On April 15, activated RHP Brian Wilson from the 15-day disabled list and optioned LHP Paco Rodriguez to AAA Albuquerque. On April 21, optioned IF/OF Chone Figgins to AAA Albuquerque and recalled RHP José Dominguez from AAA Albuquerque. On April 27, optioned RHP José Dominguez to AAA Albuquerque and recalled IF Carlos Triunfel from AAA Albuquerque. On April 29, optioned IF Carlos Triunfel to AAA Albuquerque and recalled LHP Paco Rodriguez from AAA Albuquerque. On April 30, optioned C Tim Federowicz to AAA Albuquerque, transferred RHP Chad Billingsley from the 15-day disabled list to the 60-day disabled list, and purchased the contract of C Miguel Olivo from AAA Albuquerque. On May 1, purchased the contract of RHP Red Patterson from AAA Albuquerque and designated OF Nick Buss for assignment. On May 2, optioned RHP Red Patterson and LHP Paco Rodriguez to AAA Albuquerque, placed LHP Hyun-jin Ryu on the 15-day disabled list with shoulder inflammation and recalled RHP José Dominguez and IF/OF Chone Figgins from AAA Albuquerque. On May 4, optioned RHP José Dominguez to AAA Albuquerque and recalled RHP Stephen Fife from AAA Albuquerque. On May 5, optioned RHP Stephen Fife to AAA Albuquerque and recalled RHP Pedro Báez from AA Chattanooga. On May 6, recalled LHP Clayton Kershaw from the 15-day disabled list and optioned RHP Pedro Báez to AA Chattanooga. On May 14, activated C A. J. Ellis from the 15-day disabled list and optioned C Miguel Olivo to AAA Albuquerque. On May 21, placed 3B Juan Uribe on the 15-day disabled list with a strained hamstring, activated LHP Hyun-jin Ryu from the 15-day disabled list, optioned RHP Chris Withrow to AAA Albuquerque and recalled SS Erisbel Arruebarrena from AA Chattanooga. On May 26, placed C A. J. Ellis on the 15-day disabled list, with a sprained right ankle, and recalled C Tim Federowicz from AAA Albuquerque. On May 28, placed OF Carl Crawford on the 15-day disabled list, with a sprained left ankle, and purchased the contract of IF/OF Jamie Romak from AAA Albuquerque. On June 6, optioned SS Erisbel Arruebarrena to AAA Albuquerque, transferred RHP Chris Withrow from the 15-day disabled list to the 60-day disabled list and purchased the contract of IF Miguel Rojas from AAA Albuquerque. On June 13, activated C A. J. Ellis from the 15-day disabled list and optioned C Tim Federowicz to AAA Albuquerque. On June 14, placed IF/OF Chone Figgins on the 15-day disabled list with a strained left quad muscle and recalled IF Carlos Triunfel from AAA Albuquerque. On June 25, designated IF/OK Jamie Romak for assignment and purchased the contract of 1B Clint Robinson from AAA Albuquerque. On June 26, activated 3B Juan Uribe from the 15-day disabled list and optioned IF Carlos Triunfel to AAA Albuquerque. On June 29, placed IF Justin Turner on the 15-day disabled list with a left hamstring strain and recalled IF Carlos Triunfel from AAA Albuquerque. On July 3, optioned IF Carlos Triunfel to AAA Albuquerque and recalled IF Erisbel Arruebarrena from AAA Albuquerque. On July 6, placed IF Erisbel Arruebarrena on the 15-day disabled list with a right hip flexor strain and recalled IF Carlos Triunfel from AAA Albuquerque. On July 8, placed RHP Josh Beckett on the 15-day disabled list with a left hip impingement and recalled RHP Pedro Báez from AAA Albuquerque. On July 10, activated OF Carl Crawford from the 15-day disabled list and designated 1B Clint Robinson for assignment. On July 13, optioned RHP Pedro Báez to AAA Albuquerque. On July 18, activated IF Justin Turner from the 15-day disabled list, recalled LHP Paco Rodriguez from AAA Albuquerque and optioned IF Carlos Triunfel to AAA Albuquerque. On July 22, activated RHP Josh Beckett from the 15-day disabled list and optioned LHP Paco Rodriguez to AAA Albuquerque. On July 27, activated IF Erisbel Arruebarrena from the 15-day disabled list and optioned him to Class-A Advanced Rancho Cucamonga. On July 28, acquired IF Darwin Barney and cash considerations from the Chicago Cubs for a player to be named or cash. On July 29, designated LHP Scott Elbert for assignment. On August 2, placed LHP Paul Maholm on the 15-day disabled list with a torn anterior cruciate ligament, recalled LHP Paco Rodriguez from AAA Albuquerque. On August 4, placed RHP Chris Perez on the 15-day disabled list with bone spurs in his right ankle, transferred LHP Paul Maholm from the 15-day disabled list to the 60-day disabled list, and purchased the contract of RHP Carlos Frías from AAA Albuquerque. On August 5, placed LHP Paco Rodriguez on the 15-day disabled list with a teres major strain near his left shoulder and recalled RHP Pedro Báez from AAA Albuquerque. On August 6, activated IF Chone Figgins from the 15-day disabled list and designated him for assignment. On August 7, acquired RHP Roberto Hernández from the Philadelphia Phillies for two players to be named later or cash. On August 8, placed RHP Josh Beckett on the 15-day disabled list with a left hip impingement and activated RHP Roberto Hernández. On August 9, acquired RHP Kevin Correia from the Minnesota Twins for a player to be named later or cash. On August 10, placed SS Hanley Ramírez on the 15-day disabled list with a right oblique strain, retroactive to August 9, and called up IF Darwin Barney from AAA Albuquerque. Designated LHP Colt Hynes for assignment. On August 11, activated RHP Kevin Correia and optioned RHP Pedro Báez to AAA Albuquerque. On August 15, placed LHP Hyun-jin Ryu on the 15-day disabled list with a right hip strain and recalled RHP Pedro Báez from AAA Albuquerque. On August 16, placed 3B Juan Uribe on the 15-day disabled list with a right hamstring strain and recalled IF Carlos Triunfel from AAA Albuquerque. On August 19, optioned IF Carlos Triunfel to AAA Albuquerque and recalled SS Erisbel Arruebarrena from AAA Albuquerque. On August 24, activated SS Hanley Ramírez from the 15-day disabled list and optioned SS Erisbel Arruebarrena to Advanced Class-A Rancho Cucamonga. On August 31, activated LHP Hyun-jin Ryu and 3B Juan Uribe from the 15-day disabled list and optioned RHP Carlos Frías and IF Miguel Rojas to AAA Albuquerque. On September 1, activated RHP Chris Perez from the 15-day disabled list, recalled IF Alex Guerrero, RHP Yimi García, and C Tim Federowicz from AAA Albuquerque, purchased the contract of OF Joc Pederson from AAA Albuquerque and designated IF Carlos Triunfel for assignment. On September 2, recalled RHP Carlos Frías and IF Miguel Rojas from AAA Albuquerque and SS Erisbel Arruebarrena from Class-A Rancho Cucamonga. On September 6, purchased the contract of OF Roger Bernadina from AAA Albuquerque and transferred RHP Josh Beckett from the 15-day disabled list to the 60-day disabled list. On September 12, purchased the contract of LHP Scott Elbert from AAA Albuquerque and designated RHP Red Patterson for assignment. On September 13, activated LHP Paco Rodriguez off the 15-day disabled list. On September 16, recalled RHP Stephen Fife from AAA Albuquerque and placed him on the 60-day disabled list with a right elbow injury. Purchased the contract of LHP Daniel Coulombe from AA Chattanooga. Joc Pederson was the first Pacific Coast League player in 80 years to hit 30 homers and steal 30 bases in the same season. He was selected as the league MVP. 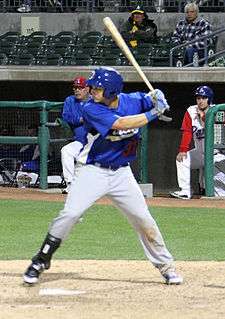 Shortstop Corey Seager was selected as the Most Valuable Player of the California League. In 80 games with the Rancho Cucamonga Quakes, he led the league with 34 doubles, a .633 slugging percentage, a 1.044 OPS, 54 extra-base hits and 207 total bases. On August 23, in his 115th game of the season Joc Pederson of the Albuquerque Isotopes became the first player in the Pacific Coast League in 80 years (since Frank Demaree in 1934, in 186 games), and the fourth all-time, to hit 30 homers and steal 30 bases in the same season. The only other Pacific Coast League hitters to do it were Lefty O'Doul (1927, in 189 games) and Hall of Famer Tony Lazzeri (1925, in 197 games). He was also only the second Dodger minor leaguer to ever do it, joining Chin-Feng Chen (1999; 31/31 for Class A San Bernardino). Pederson was also named the Most Valuable Player of the PCL. Pitcher José DeLeón of the Rookie-Class Ogden Raptors was named Pitcher of the Year in the Pioneer League (baseball) after he led the league in strikeouts (77) despite pitching only 54 1/3 innings. The rookie-class Arizona League Dodgers made the Arizona League playoffs but were eliminated by a 5–4 loss to the Mariners in the first round. The AA Chattanooga Lookouts won the second half Southern League title and a birth in the playoffs. They then beat the Huntsville Stars 3 games to 2 in the best-of-five semi-final series and advanced to play in the Southern League championship series. However, they were swept in three games by the Jacksonville Suns in the finals. The rookie class Ogden Raptors won the second half Pioneer League (baseball) title and a birth in the playoffs. However, they were swept by the Orem Owlz in the first round of the playoffs. On September 17, the Dodgers announced that they would be purchasing the Oklahoma City RedHawks franchise in the Pacific Coast League and that it would replace the Albuquerque Isotopes as the teams AAA affiliate. Dodger co-owner Peter Guber would be the executive in charge of the franchise. They also announced that they were switching AA affiliates as well, signing a two-year agreement with the Tulsa Drillers of the Texas League, replacing the Chattanooga Lookouts of the Southern League. On September 26, the Dodgers selected outfielder Joc Pederson and shortstop Corey Seager as the co-winners of the organizational "Minor League Player of the Year" award. Pederson, who also won in 2012, became the third Dodger position player to win the award twice (Billy Ashley and Paul Konerko). Julio Urías was selected as the organizations "Minor League Pitcher of the Year." Several top Dodgers prospects participated in the Arizona Fall League in October and November, 2014. They included the team's top prospect, shortstop Corey Seager, as well as pitchers Matt Magill, Blake Smith, Michael Thomas, Daniel Coulombe and Matt Shelton, infielder Darnell Sweeney and outfielder Scott Schebler. The Dodgers selected 40 players in this draft. Of those, only one of them, pitcher Brock Stewart, has played Major League Baseball as of the 2016 season. The first round draft pick was right-handed pitcher Grant Holmes from Conway High School. He was traded to the Oakland Athletics mid-way through the 2016 season. ↑ Rovell, Darren (January 29, 2013). "Dodgers launching sports TV network". ESPN.com. Retrieved October 13, 2013. ↑ Dilbeck, Steve (December 2, 2013). "Nomar Garciaparra joins Dodgers broadcasting crew". LA Times. Retrieved December 2, 2013. ↑ Dilbeck, Steve (December 8, 2013). "Dodgers hire Orel Hershiser as new team broadcaster". Los Angeles Times. Retrieved December 8, 2013. ↑ "Dodgers Shuffle: Charley Steiner To TV Side, Nomar Garciaparra Joins Radio Team". AllAccess.com. January 22, 2014. Retrieved February 23, 2014. ↑ O'Brien, Trevor (February 25, 2014). "SportsNet LA Launches With Original Dodgers Programming". NBC Los Angeles. Retrieved February 26, 2014. ↑ Johnson, Ted (July 29, 2014). "DirecTV Refuses to 'Bail Out' Time Warner Cable in Dodgers Standoff". Variety. Retrieved August 20, 2014. ↑ "Time Warner to show final six Dodgers' games free on KDOC". Los Angeles Times. 15 September 2014. Retrieved 15 September 2014. ↑ Ourand, John (July 14, 2014). "On a new RSN, Dodgers see TV numbers dive". Sports Business Journal. Retrieved October 1, 2014. ↑ Dilbeck, Steve (October 21, 2013). "Sue Falsone will not return as Dodgers' head trainer". LA Times. Retrieved October 22, 2013. ↑ Shaikin, Bill (October 22, 2013). "Dodgers fire bench coach Trey Hilman". LA Times. Retrieved October 22, 2013. ↑ Stephen, Eric (October 22, 2013). "Dodgers exercise 2014 options on Rick Honeycutt, Tim Wallach, Davey Lopes". truebluela.com. Retrieved October 22, 2013. ↑ Gurnick, Ken (November 11, 2013). "Shifting Wallach to bench, Dodgers finalize staff". mlb.com. Retrieved November 11, 2013. ↑ Stephen, Eric (October 31, 2013). "Ricky Nolasco, Juan Uribe among 10 Dodgers free agents". Retrieved October 31, 2013. ↑ Gurnick, Ken (October 31, 2013). "Dodgers decline options on Capuano, M. Ellis". Retrieved October 31, 2013. ↑ Stephen, Eric (November 4, 2013). "Elian Herrera claimed off waivers by Brewers". truebluela.com. Retrieved November 5, 2013. ↑ Stephen, Eric (November 20, 2013). "Shawn Tolleson claimed off waivers by Rangers". Retrieved November 20, 2013. ↑ Stephen, Eric (December 2, 2013). "Dodgers non-tender Ronald Belisario". truebluela.com. Retrieved December 3, 2013. ↑ Gurnick, Ken (October 23, 2013). "Dodgers acquire Minor League outfielder from Red Sox". mlb.com. Retrieved October 23, 2013. ↑ DiComo, Anthony (December 12, 2013). "Mets pick Rosin in Rule 5 Draft, deal him to Dodgers". mlb.com. Retrieved January 26, 2014. ↑ Sanchez, Jesse (October 22, 2013). "Dodgers finalize deal with Cuban infielder Guerrero". mlb.com. ↑ Kruth, Cash (November 24, 2013). "Haren, Dodgers reportedly agree to one-year deal". mlb.com. Retrieved November 25, 2013. ↑ Gurnick, Ken (December 5, 2013). "Wilson returns to Dodgers with new contract". mlb.com. Retrieved December 6, 2013. ↑ Gurnick, Ken (December 14, 2013). "Uribe agrees to two-year contract with Dodgers". mlb.com. Retrieved December 15, 2013. ↑ Saxon, Mark (December 17, 2013). "Dodgers, lefty J.P. Howell agree". ESPN.com. Retrieved December 21, 2013. ↑ Gurnick, Ken (December 23, 2013). "Dodgers agree with relievers Wright, Perez". Retrieved December 23, 2013. ↑ Stephen, Eric (January 15, 2014). "Dodgers extend Clayton Kershaw for 7 years, $215 million, per report". truebluela.com. Retrieved January 15, 2014. ↑ Gurnick, Ken (February 8, 2014). "Title drive begins with pitchers, catchers reporting". Retrieved February 8, 2014. ↑ Gurnick, Ken (February 8, 2014). "Maholm signs one-year deal with Dodgers". Retrieved February 8, 2014. ↑ Gurnick, Ken (February 9, 2014). "Fifth-starter competition to assume spring spotlight". Retrieved February 10, 2014. ↑ Stephen, Eric (February 22, 2014). "Dodgers finalize deal for Erisbel Arruebarrena". truebluela. Retrieved February 22, 2014. ↑ Gurnick, Ken (November 11, 2013). "Dodgers announce 2014 Spring Training schedule". mlb.com. Retrieved March 9, 2014. ↑ Stephen, Eric (February 27, 2014). "Zack Greinke injury: Dodgers RHP leaves game with mild right calf strain". truebluela.com. Retrieved March 9, 2014. ↑ Baxter, Kevin (March 6, 2014). "Zack Greinke, Matt Kemp continue to progress in rehab workouts". LATimes. Retrieved March 9, 2014. ↑ Hoornstra, J.P. (March 9, 2014). "Clayton Kershaw will start on Opening Day, Hyun-jin Ryu to follow, Dodgers announce.". Inside the Dodgers. Retrieved March 9, 2014. ↑ Gurnick, Ken (February 15, 2014). "Guerrero looks to make adjustment to second base". mlb.com. Retrieved March 9, 2014. ↑ Romero, Jose M. (March 16, 2014). "Dodgers set 30-man roster for Australia Series". Retrieved March 16, 2014. ↑ Romero, Jose M. (March 16, 2014). "Ryu in form as Dodgers close Cactus League slate". mlb.com. Retrieved March 16, 2014. ↑ Hernandez, Dylan (March 17, 2014). "Dodgers arrive in Australia ahead of season-opening series". LA Times. Retrieved March 20, 2014. ↑ Saxon, Mark (March 19, 2014). "Dodgers painted as villain in Australia". ESPN.com. Retrieved March 20, 2014. ↑ Gurnick, Ken (March 20, 2014). "Puig leads comeback against Team Australia". mlb.com. Retrieved March 20, 2013. ↑ Stephen, Eric (March 22, 2014). "Clayton Kershaw puts Opening Day streak on the line". truebluela.com. Retrieved March 22, 2013. ↑ Gurnick, Ken (March 22, 2014). "Kershaw crafts Opening Day gem in Australia". mlb.com. Retrieved March 22, 2013. ↑ Gurnick, Ken (March 23, 2014). "Drama Down Under: Dodgers hold on in Australia". mlb.com. Retrieved March 23, 2013. ↑ Bloom, Earl (March 29, 2014). "Dodgers' prospects deliver against Angels". mlb.com. Retrieved March 30, 2014. ↑ Miller, Scott (March 29, 2014). "Kershaw heads to the disabled list". mlb.com. Retrieved March 30, 2014. ↑ Gurnick, Ken (March 30, 2014). "Ryu superb, but Dodgers can't hang on in eighth". mlb.com. Retrieved March 30, 2014. ↑ Gurnick, Ken (April 1, 2014). "Puig's power boosts Greinke in San Diego". mlb.com. Retrieved April 1, 2014. ↑ Gurnick, Ken (April 3, 2014). "Haren's LA story starts with a 'W'". mlb.com. Retrieved April 3, 2014. ↑ Gurnick, Ken (April 4, 2014). "Early deficit spoils Dodgers' Opening Day". mlb.com. Retrieved April 5, 2014. ↑ Gurnick, Ken (April 5, 2014). "Maholm hurt by pair of homers in loss to Giants". mlb.com. Retrieved April 5, 2014. ↑ Bloom, Earl (April 7, 2014). "Greinke, Kemp, Hanley showcase power stuff in win". mlb.com. Retrieved April 7, 2014. ↑ Bloom, Earl (April 9, 2014). "Crawford's double picks up Dodgers in 10 innings". mlb.com. Retrieved April 9, 2014. ↑ Bloom, Earl (April 10, 2014). "Dodgers drop nail-biter to Tigers in 10 innings". mlb.com. Retrieved April 10, 2014. ↑ Gurnick, Ken (April 12, 2014). "A-Gon plates five as Dodgers blank D-backs". mlb.com. Retrieved April 12, 2014. ↑ Gurnick, Ken (April 13, 2014). "Dodgers dominate D-backs, securing series win". mlb.com. Retrieved April 13, 2014. ↑ Gurnick, Ken (April 13, 2014). "Adrian homers in fourth straight as LA sweeps". mlb.com. Retrieved April 13, 2014. ↑ Gurnick, Ken (April 16, 2014). "League allows winner as Dodgers fall in 12th inning". mlb.com. Retrieved April 16, 2014. ↑ Gurnick, Ken (April 17, 2014). "Dodgers fall short despite Maholm's solid outing". mlb.com. Retrieved April 18, 2014. ↑ Gurnick, Ken (April 17, 2014). "Ryu dominates as Dodgers take down Giants". mlb.com. Retrieved April 18, 2014. ↑ Bloom, Earl (April 19, 2014). "Dodgers stung late on wild night to open series". mlb.com. Retrieved April 20, 2014. ↑ Bloom, Earl (April 20, 2014). "Dodgers erase four-run deficit to back Haren". mlb.com. Retrieved April 20, 2014. ↑ Gurnick, Ken (April 20, 2014). "Puig hits decisive homer in LA's gutsy three-hitter". mlb.com. Retrieved April 22, 2014. ↑ Gurnick, Ken (April 22, 2014). "Listless Dodgers silenced by Phils' Lee". mlb.com. Retrieved April 22, 2014. ↑ Gurnick, Ken (April 23, 2014). "Miscue looms large as Dodgers fall in extras". mlb.com. Retrieved April 26, 2014. ↑ Gurnick, Ken (April 24, 2014). "Greinke's 11-K gem derails Philly in LA". mlb.com. Retrieved April 26, 2014. ↑ Gurnick, Ken (April 25, 2014). "Wilson roughed up as Phils escape with series win". mlb.com. Retrieved April 26, 2014. ↑ Gurnick, Ken (April 26, 2014). "Beckett's brilliant effort unrewarded in 11-inning loss". mlb.com. Retrieved April 26, 2014. ↑ Miller, Scott (April 27, 2014). "Kemp, Adrian go long to get Maholm, Dodgers a win". mlb.com. Retrieved April 27, 2014. ↑ Miller, Scott (April 27, 2014). "Ryu's struggles at home magnified in loss to Rockies". mlb.com. Retrieved April 27, 2014. ↑ Gurnick, Ken (April 29, 2014). "Dodgers-Twins postponed; split twin bill Thursday". mlb.com. Retrieved May 2, 2014. ↑ Gurnick, Ken (May 1, 2014). "Greinke moves to 5–0 as Dodgers notch 10,000th win". mlb.com. Retrieved May 2, 2014. ↑ Gurnick, Ken (May 1, 2014). "Dodgers ride hit parade to Game 1 win over Twins". mlb.com. Retrieved May 2, 2014. ↑ Gurnick, Ken (May 1, 2014). "Dodgers sweep doubleheader on homers in 12th". mlb.com. Retrieved May 2, 2014. ↑ Gurnick, Ken (May 2, 2014). "Dodgers don't find groove until late in loss to Fish". mlb.com. Retrieved May 4, 2014. ↑ Gurnick, Ken (May 4, 2014). "Dodgers outlast Fish on Crawford's extra-inning blast". mlb.com. Retrieved May 4, 2014. ↑ Gurnick, Ken (May 4, 2014). "Dodgers bested in finale, series as Marlins walk off". mlb.com. Retrieved May 4, 2014. ↑ Seifel, Jeff (May 6, 2014). "Long night ends with loss for Dodgers". mlb.com. Retrieved May 6, 2014. ↑ Seifel, Jeff (May 7, 2014). "Kershaw dominates Nats in return". mlb.com. Retrieved May 7, 2014. ↑ Standig, Ben (May 7, 2014). "Dodgers cool off after first, drop series finale". mlb.com. Retrieved May 8, 2014. ↑ Gurnick, Ken (May 9, 2014). "Dodgers miss chance to get right behind Beckett". mlb.com. Retrieved May 10, 2014. ↑ Gurnick, Ken (May 10, 2014). "Dodgers' slide continues in fiery loss to Giants". mlb.com. Retrieved May 10, 2014. ↑ Gurnick, Ken (May 10, 2014). "Gordon fuels rally as Dodgers surprise Giants". mlb.com. Retrieved May 10, 2014. ↑ Gurnick, Ken (May 12, 2014). "Hanley's heroics not enough to give Dodgers the win". mlb.com. Retrieved May 11, 2014. ↑ Gurnick, Ken (May 13, 2014). "Hot-hitting Puig propels Dodgers over Marlins". mlb.com. Retrieved May 13, 2014. ↑ Gurnick, Ken (May 14, 2014). "Beckett earns first win with help of Puig, Hanley". mlb.com. Retrieved May 14, 2014. ↑ Bloom, Earl (May 15, 2014). "Dodgers have night to forget vs. Marlins". mlb.com. Retrieved May 15, 2014. ↑ Gurnick, Ken (May 17, 2014). "Greinke silences D-backs for NL-high seventh win". mlb.com. Retrieved May 17, 2014. ↑ Sanchez, Jesse (May 18, 2014). "Kershaw stung early on wrong end of slugfest". mlb.com. Retrieved May 18, 2014. ↑ Gurnick, Ken (May 18, 2014). "Dodgers unable to regain Snake-charming ways". mlb.com. Retrieved May 18, 2014. ↑ Gurnick, Ken (May 21, 2014). "Adrian leads charge as Dodgers grind out win". mlb.com. Retrieved May 24, 2014. ↑ Gurnick, Ken (May 22, 2014). "Trio of taters back Ryu's strong return from DL". mlb.com. Retrieved May 24, 2014. ↑ DiComo, Anthony (May 23, 2014). "Campbell, Mejia help Mets close out Dodgers". mlb.com. Retrieved May 24, 2014. ↑ Radano, Michael (May 24, 2014). "Kershaw aces again as Dodgers blank Phillies". mlb.com. Retrieved May 25, 2014. ↑ Radano, Michael (May 24, 2014). "Dodgers can't get Haren off hook against Phillies". mlb.com. Retrieved May 25, 2014. ↑ Radano, Michael (May 25, 2014). "Beckett silences Phils with first career no-no". mlb.com. Retrieved May 25, 2014. ↑ Bloom, Earl (May 26, 2014). "Dodgers hang on after Ryu loses perfecto bid". mlb.com. Retrieved May 26, 2014. ↑ Miller, Scott (May 29, 2014). "Kershaw gets stung by Reds' fast start". mlb.com. Retrieved May 29, 2014. ↑ Bloom, Earl (May 30, 2014). "Rare League hiccup opens door for Pirates". mlb.com. Retrieved May 30, 2014. ↑ Spence, Lyle (May 31, 2014). "Beckett goes five innings in follow-up to no-no". mlb.com. Retrieved May 31, 2014. ↑ Spence, Lyle (June 1, 2014). "Hanley's two homers fuel Dodgers' big outburst". mlb.com. Retrieved June 2, 2014. ↑ Spence, Lyle (June 2, 2014). "Pirates follow MVP's lead to pounce on Greinke". mlb.com. Retrieved June 2, 2014. ↑ Lananna, Michael (June 3, 2014). "Dodgers accept White Sox generosity in opener". mlb.com. Retrieved June 3, 2014. ↑ Lananna, Michael (June 4, 2014). "Haren, Dodgers fall victim to home runs". mlb.com. Retrieved June 4, 2014. ↑ Gurnick, Ken (June 5, 2014). "Offensive malaise continues in Dodgers' loss". mlb.com. Retrieved June 5, 2014. ↑ Gurnick, Ken (June 7, 2014). "Dee provides spark as Dodgers handle Rockies". mlb.com. Retrieved June 7, 2014. ↑ Gurnick, Ken (June 7, 2014). "Multiple losses as Dodgers fall to Rockies in 10". mlb.com. Retrieved June 8, 2014. ↑ Stephen, Eric (June 8, 2014). "Clayton Kershaw, Dodgers take rain-shortened affair over Rockies". truebluela.com. Retrieved June 8, 2014. ↑ Randhawa, Manny (June 9, 2014). "Van Slyke homers twice to back Haren in win". mlb.com. Retrieved June 9, 2014. ↑ Randhawa, Manny (June 11, 2014). "Beckett rolls over Reds after long delay". mlb.com. Retrieved June 11, 2014. ↑ Randhawa, Manny (June 12, 2014). "Ryu outdueled by Cueto for first road loss". mlb.com. Retrieved June 13, 2014. ↑ Randhawa, Manny (June 12, 2014). "Greinke solid, but Dodgers miss chances in finale". mlb.com. Retrieved June 13, 2014. ↑ Gurnick, Ken (June 14, 2014). "Kershaw, Kemp's homer help keep D-backs on ice". mlb.com. Retrieved June 14, 2014. ↑ Gurnick, Ken (June 15, 2014). "Haren stings D-backs with bat to pick up win". mlb.com. Retrieved June 15, 2014. ↑ Gurnick, Ken (June 15, 2014). "Miscues derail Dodgers' bid for series sweep". mlb.com. Retrieved June 15, 2014. ↑ Gurnick, Ken (June 17, 2014). "Dee tour! Dodgers interrupt Rockies' roll". mlb.com. Retrieved June 17, 2014. ↑ Gurnick, Ken (June 18, 2014). "Greinke rides three homers to ninth victory". mlb.com. Retrieved June 18, 2014. ↑ Gurnick, Ken (June 18, 2014). "Kershaw tosses first no-no as Dodgers rout Rockies". mlb.com. Retrieved June 18, 2014. ↑ Gurnick, Ken (June 21, 2014). "Dodgers' streak ends at three with Padres' walk-off". mlb.com. Retrieved June 21, 2014. ↑ Gurnick, Ken (June 22, 2014). "Beckett's gem enough to withstand Padres' late threat". mlb.com. Retrieved June 22, 2014. ↑ Gurnick, Ken (June 22, 2014). "Ryu continues trend of gems from Dodgers starters". mlb.com. Retrieved June 22, 2014. ↑ Gurnick, Ken (June 24, 2014). "Return to Kansas City unkind for Greinke". mlb.com. Retrieved June 24, 2014. ↑ Gurnick, Ken (June 24, 2014). "Kershaw fires more zeros as Dodgers blank Royals". mlb.com. Retrieved June 24, 2014. ↑ Gurnick, Ken (June 26, 2014). "Dodgers ride hit-by-pitch to unconventional win". mlb.com. Retrieved June 26, 2014. ↑ Lananna, Michael (June 27, 2014). "Turner comes through after Beckett's strong outing". mlb.com. Retrieved June 27, 2014. ↑ Gurnick, Ken (June 28, 2014). "Missteps on bases, in outfield sink Dodgers". mlb.com. Retrieved June 28, 2014. ↑ Gurnick, Ken (June 28, 2014). "Greinke rides offensive outburst to 10th victory". mlb.com. Retrieved June 28, 2014. ↑ Gurnick, Ken (June 29, 2014). "Dodgers' stars align to grab share of first place". mlb.com. Retrieved June 29, 2014. ↑ Gurnick, Ken (July 1, 2014). "Haren's gem vs. Tribe puts Dodgers alone in first". mlb.com. Retrieved June 30, 2014. ↑ Lananna, Michael (July 2, 2014). "Dodgers miss too many chances against Tribe". mlb.com. Retrieved July 2, 2014. ↑ Lananna, Michael (July 2, 2014). "Ryu strong, but Dodgers can't close out win". mlb.com. Retrieved July 4, 2014. ↑ Gurnick, Ken (July 4, 2014). "Greinke wins 11th as LA returns to first place". mlb.com. Retrieved July 4, 2014. ↑ Gurnick, Ken (July 5, 2014). "Kershaw dominates, extends scoreless streak". mlb.com. Retrieved July 5, 2014. ↑ Gurnick, Ken (July 5, 2014). "Dodgers' late charge comes up one run short". mlb.com. Retrieved July 5, 2014. ↑ Gurnick, Ken (July 6, 2014). "Dodgers cruise behind Beckett's short outing". mlb.com. Retrieved July 6, 2014. ↑ Hagen, Paul (July 6, 2014). "All-Stars unveiled, including 26 first-timers". mlb.com. Retrieved July 6, 2014. ↑ Gurnick, Ken (July 8, 2014). "Ryu unable to hold lead as Dodgers routed in Detroit". mlb.com. Retrieved July 9, 2014. ↑ Gurnick, Ken (July 9, 2014). "Greinke on short end of duel with Scherzer". mlb.com. Retrieved July 9, 2014. ↑ Gurnick, Ken (July 11, 2014). "Kershaw fires three-hit gem as one streak ends". mlb.com. Retrieved July 11, 2014. ↑ Lananna, Michael (July 12, 2014). "Dodgers kept off balance by Padres rookie". mlb.com. Retrieved July 12, 2014. ↑ Gurnick, Ken (July 13, 2014). "Ellis' walk-off, Maholm's gem put LA back in first". mlb.com. Retrieved July 13, 2014. ↑ Gurnick, Ken (July 13, 2014). "Ryu's return to form leaves Dodgers atop NL at break". mlb.com. Retrieved July 13, 2014. ↑ Halsted, Alex (July 19, 2014). "Big hit eludes Dodgers as they drop into tie for first". mlb.com. Retrieved July 19, 2014. ↑ Halsted, Alex (July 19, 2014). "Greinke's early issues, club's hitting woes lead to loss". mlb.com. Retrieved July 20, 2014. ↑ Halsted, Alex (July 21, 2014). "Adrian gives Dodgers finale win over Cardinals". mlb.com. Retrieved July 24, 2014. ↑ Gurnick, Ken (July 22, 2014). "Backed by early output, Ryu tops Bucs for 11th win". mlb.com. Retrieved July 24, 2014. ↑ Gurnick, Ken (July 23, 2014). "Dodgers can't catch Pirates, drop slugfest". mlb.com. Retrieved July 24, 2014. ↑ Gurnick, Ken (July 23, 2014). "Dodgers unable to pick up shaky Haren". mlb.com. Retrieved July 24, 2014. ↑ Gurnick, Ken (July 26, 2014). "Puig triples thrice as Dodgers rout Giants". mlb.com. Retrieved July 28, 2014. ↑ Gurnick, Ken (July 27, 2014). "Kershaw's two-hitter puts Dodgers back in first". mlb.com. Retrieved July 28, 2014. ↑ Gurnick, Ken (July 27, 2014). "Dodgers pad West lead with sweep of Giants". mlb.com. Retrieved July 28, 2014. ↑ Lananna, Michael (July 30, 2014). "Kemp homers twice as LA wins fourth straight". mlb.com. Retrieved July 30, 2014. ↑ Gurnick, Ken (July 31, 2014). "Kemp's walk-off single in 10th keeps LA rolling". mlb.com. Retrieved July 31, 2014. ↑ Lananna, Michael (August 1, 2014). "Kershaw goes distance for 10th straight win". mlb.com. Retrieved August 1, 2014. ↑ Gurnick, Ken (August 2, 2014). "Dodgers' winning streak snapped in sloppy loss". mlb.com. Retrieved August 3, 2014. ↑ Gurnick, Ken (August 3, 2014). "Hanley's first career walk-off homer douses Cubs". mlb.com. Retrieved August 3, 2014. ↑ Gurnick, Ken (August 3, 2014). "Beckett's struggles continue as last-place Cubs take series". mlb.com. Retrieved August 4, 2014. ↑ Gurnick, Ken (August 5, 2014). "Greinke touched up as Dodgers fall to Angels". mlb.com. Retrieved August 6, 2014. ↑ Gurnick, Ken (August 6, 2014). "Uribe leads Dodgers in Freeway Series walk-off". mlb.com. Retrieved August 6, 2014. ↑ Lananna, Michael (August 7, 2014). "Haren puts Dodgers in Freeway Series driver's seat". mlb.com. Retrieved August 7, 2014. ↑ Lananna, Michael (August 8, 2014). "Ryu leads two-hitter as Dodgers blank Angels". mlb.com. Retrieved August 8, 2014. ↑ Gurnick, Ken (August 9, 2014). "Hernandez solid in debut, but Dodgers fall". mlb.com. Retrieved August 9, 2014. ↑ Gurnick, Ken (August 10, 2014). "Greinke receives little support in loss to Crew". mlb.com. Retrieved August 10, 2014. ↑ Gurnick, Ken (August 10, 2014). "Kershaw does it all in impressive win vs. Crew". mlb.com. Retrieved August 10, 2014. ↑ Morgan, Joe (August 12, 2014). "Correia strong on mound, at plate in Dodgers debut". mlb.com. Retrieved August 12, 2014. ↑ Morgan, Joe (August 12, 2014). "Haren keeps up turnaround against Braves". mlb.com. Retrieved August 13, 2014. ↑ Morgan, Joe (August 14, 2014). "Dodgers fall to Braves on game-ending double play". mlb.com. Retrieved August 14, 2014. ↑ Morgan, Joe (August 14, 2014). "Jansen's four-out save secures win for Dodgers". mlb.com. Retrieved August 14, 2014. ↑ Gurnick, Ken (August 16, 2014). "Dodgers' bullpen stung by Brewers' rally". mlb.com. Retrieved August 17, 2014. ↑ Gurnick, Ken (August 17, 2014). "Homers snap Kershaw's winning streak". mlb.com. Retrieved August 17, 2014. ↑ Lananna, Michael (August 17, 2014). "Dodgers topped in series finale to drop third straight". mlb.com. Retrieved August 20, 2014. ↑ Gurnick, Ken (August 20, 2014). "Dodgers nip slide behind Crawford's big night". mlb.com. Retrieved August 20, 2014. ↑ Gurnick, Ken (August 21, 2014). "Dodgers fall in another hole, can't get out". mlb.com. Retrieved August 22, 2014. ↑ Gurnick, Ken (August 22, 2014). "Turner's blast carries Kershaw to 15th win". mlb.com. Retrieved August 22, 2014. ↑ Gurnick, Ken (August 23, 2014). "Dodgers maintain lead behind Haren's stellar start". mlb.com. Retrieved August 23, 2014. ↑ Gurnick, Ken (August 24, 2014). "A-Gon's five RBIs help Greinke earn 13th win". mlb.com. Retrieved August 24, 2014. ↑ Lananna, Michael (August 24, 2014). "Dodgers downed after Correia unravels early". mlb.com. Retrieved August 24, 2014. ↑ Gurnick, Ken (August 27, 2014). "Quirky six-spot helps Dodgers top D-backs". mlb.com. Retrieved August 27, 2014. ↑ Gurnick, Ken (August 28, 2014). "Kershaw finds vintage form for 16th victory". mlb.com. Retrieved August 28, 2014. ↑ Gurnick, Ken (August 30, 2014). "Dodgers' West lead slips as Correia takes loss". mlb.com. Retrieved August 30, 2014. ↑ Gurnick, Ken (August 31, 2014). "Dodgers lose in walk-off to see NL West lead slip". mlb.com. Retrieved August 31, 2014. ↑ Gurnick, Ken (August 31, 2014). "Ryu cruises past Padres in return from DL". mlb.com. Retrieved August 31, 2014. ↑ Lananna, Michael (September 2, 2014). "Dodgers can't keep pace with homer-happy Nats". mlb.com. Retrieved September 2, 2014. ↑ Gurnick, Ken (September 3, 2014). "Kershaw cuts down Nats for MLB-best 17th win". mlb.com. Retrieved September 3, 2014. ↑ Schlueter, Roger (September 3, 2014). "MLB Notebook: Kershaw king of the hill". mlb.com. Retrieved September 3, 2014. ↑ Gurnick, Ken (September 3, 2014). "Dodgers miss chance to pad lead in marathon loss". mlb.com. Retrieved September 6, 2014. ↑ Gurnick, Ken (September 6, 2014). "First-place Dodgers get a boost from Haren". mlb.com. Retrieved September 6, 2014. ↑ Gurnick, Ken (September 7, 2014). "LA Dee-nies Arizona, keeps SF two back". mlb.com. Retrieved September 7, 2014. ↑ Lananna, Michael (September 7, 2014). "Adrian homers twice as Dodgers sweep D-backs". mlb.com. Retrieved September 8, 2014. ↑ Gurnick, Ken (September 9, 2014). "Kershaw gets 18th win as Dodgers pad lead". mlb.com. Retrieved September 9, 2014. ↑ Gurnick, Ken (September 10, 2014). "Hernandez's struggles trim game off Dodgers' lead". mlb.com. Retrieved September 10, 2014. ↑ Gurnick, Ken (September 11, 2014). "Crawford backs Haren as Dodgers shut out Padres". mlb.com. Retrieved September 11, 2014. ↑ Gurnick, Ken (September 13, 2014). "Dodgers blanked by Giants as Ryu leaves injured". mlb.com. Retrieved September 13, 2014. ↑ Stephen, Eric (September 13, 2014). "Dodgers have 4 players reach 30 doubles". truebluela.com. Retrieved September 14, 2014. ↑ Gurnick, Ken (September 14, 2014). "Dodgers stomp Giants in record-setting night". mlb.com. Retrieved September 14, 2014. ↑ Firstman, Diane (September 14, 2014). "Swapping Shutout Routs". valueoverreplacementgrit.com. Retrieved September 16, 2014. ↑ Gurnick, Ken (September 14, 2014). "Kershaw first to 19 wins; Dodgers add to lead". mlb.com. Retrieved September 14, 2014. ↑ Ulm, Cody (September 16, 2014). "Eight-run sixth helps Dodgers stretch NL West lead". mlb.com. Retrieved September 16, 2014. ↑ Ulm, Cody (September 17, 2014). "Play at plate sums up Dodgers' loss to Rockies". mlb.com. Retrieved September 17, 2014. ↑ Ulm, Cody (September 17, 2014). "Dodgers' playoff push hits bump in Colorado". mlb.com. Retrieved September 17, 2014. ↑ Gurnick, Ken (September 19, 2014). "Dodgers creep closer to playoffs with big, late rally". mlb.com. Retrieved September 19, 2014. ↑ Gurnick, Ken (September 19, 2014). "Kershaw wins 20th as Dodgers clinch berth". mlb.com. Retrieved September 19, 2014. ↑ Stephen, Eric (September 19, 2014). "Dodgers clinch playoff spot, with help from Russell Martin, Jonathan Broxton". truebluela.com. Retrieved September 19, 2014. ↑ Gurnick, Ken (September 20, 2014). "Adrian's two homers squandered as 'pen crumbles". mlb.com. Retrieved September 20, 2014. ↑ Gurnick, Ken (September 21, 2014). "All-bullpen game plan sends LA home happy". mlb.com. Retrieved September 21, 2014. ↑ Lananna, Michael (September 23, 2014). "Dodgers' magic number still three after 13-inning loss". mlb.com. Retrieved September 23, 2014. ↑ Gurnick, Ken (September 24, 2014). "Turner, Kemp wave wands, bring magic number to 1". mlb.com. Retrieved September 24, 2014. ↑ Gurnick, Ken (September 24, 2014). "Dodgers best of the West thanks to Kershaw, Puig". mlb.com. Retrieved September 24, 2014. ↑ Gurnick, Ken (September 27, 2014). "Roster battles heat up as Dodgers bat around". mlb.com. Retrieved September 27, 2014. ↑ Lananna, Michael (September 28, 2014). "Understudies nail postseason audition in walk-off". mlb.com. Retrieved September 28, 2014. ↑ Lananna, Michael (September 28, 2014). "Dodgers have fun on, off field in season finale". mlb.com. Retrieved September 28, 2014. ↑ Stephen, Eric (September 28, 2014). "NLDS schedule 2014: Dodgers host Cardinals in opening round". truebluela.com. Retrieved October 1, 2014. ↑ Gurnick, Ken (October 4, 2014). "Kershaw stunned in seventh as LA drops Game 1". mlb.com. Retrieved October 5, 2014. ↑ Gurnick, Ken (October 5, 2014). "Dodgers get off mat, even NLDS on Kemp's blast". mlb.com. Retrieved October 5, 2014. ↑ Gurnick, Ken (October 7, 2014). "Bullpen breakdown leaves Dodgers in NLDS hole". mlb.com. Retrieved October 7, 2014. ↑ Gurnick, Ken (October 7, 2014). "Crushing blow: Homer sinks Dodgers' season". mlb.com. Retrieved October 7, 2014. ↑ Nowak, Joey (May 19, 2014). "Pollock, Puig named NL Players of the Week". mlb.com. Retrieved May 19, 2014. ↑ Stephen, Eric (May 27, 2014). "Josh Beckett named co-NL Player of the Week". truebluela.com. Retrieved May 27, 2014. ↑ Stephen, Eric (June 3, 2014). "Yasiel Puig wins NL Player of the Month for May". truebluela.com. Retrieved June 3, 2014. ↑ Stephen, Eric (June 23, 2014). "Josh Clayton Kershaw named NL Player of the Week". truebluela.com. Retrieved June 23, 2014. ↑ Stephen, Eric (July 2, 2014). "Clayton Kershaw named NL Pitcher of the Month for June". truebluela.com. Retrieved July 2, 2014. 1 2 3 4 Stephen, Eric (July 6, 2014). "Clayton Kershaw, Yasiel Puig lead 4 Dodgers named to All-Star team". truebluela.com. Retrieved July 6, 2014. ↑ Stephen, Eric (August 4, 2014). "Matt Kemp named NL Player of the Week". truebluela.com. Retrieved August 4, 2014. ↑ Weisman, Jon (August 4, 2014). "Clayton Kershaw repeats as NL Pitcher of the Month". dodgers.com. Retrieved August 4, 2014. ↑ "Vin Scully honored with Commissioner's Historic Achievement Award". mlb.com. September 5, 2014. Retrieved September 5, 2014. ↑ Weisman, Jon (September 30, 2014). "Matt Kemp named September's NL Player of the Month". dodgers.com. Retrieved September 30, 2014. ↑ Shaikin, Bill (October 21, 2014). "Major League Player Of The Year: Baseball's Best Pitcher Keeps Looking Ahead". baseballamerica.com. Retrieved October 21, 2014. 1 2 "Sporting News 2014 National League All-Star team". Sporting News. October 22, 2014. Retrieved October 22, 2014. ↑ "The 2014 Awards". Fielding Bible.com. Retrieved October 30, 2014. 1 2 3 Stephen, Eric (November 3, 2014). "Clayton Kershaw 3 Players Choice Awards, including MLB Player of the Year". truebluela.com. Retrieved November 3, 2014. 1 2 Weisman, Jon (November 4, 2014). "Adrian Gonzalez, Zack Greinke win Gold Gloves". Dodger Insider. Retrieved November 4, 2014. 1 2 Weisman, Jon (November 5, 2014). "Gonzalez, Uribe win Wilson Defensive Player of the Year honors". Dodger Insider. Retrieved November 5, 2014. ↑ Stephen, Eric (November 6, 2014). "Clayton Kershaw wins 2014 Warren Spahn Award". Truebluela.com. Retrieved November 6, 2014. ↑ Osborne, Cary (November 6, 2014). "Adrian Gonzalez wins Silver Slugger Award". Dodger Insider. Retrieved November 6, 2014. ↑ Stephen, Eric (November 13, 2014). "Clayton Kershaw first pitcher in 46 years to win NL MVP". truebluela.com. Retrieved November 13, 2014. ↑ Gurnick, Ken (March 22, 2014). "Josh Beckett, Matt Kemp to DL". ESPN.com. Retrieved March 22, 2014. ↑ "Dodgers make tough choice at catcher". mlb.com. Associated Press. March 22, 2014. Retrieved March 22, 2014. ↑ Gurnick, Ken (March 25, 2014). "Crawford returns, Guerrero sent down". mlb.com. Retrieved March 25, 2014. ↑ Stephen, Eric (March 26, 2014). "Dodgers lose 2 on waivers: Seth Rosin to Rangers, Javy Guerra to White Sox". truebluela.com. Retrieved March 26, 2014. ↑ Stephen, Eric (March 29, 2014). "Clayton Kershaw to be placed on 15-day DL". truebluela.com. Retrieved March 30, 2014. ↑ Gurnick, Ken (April 2, 2014). "Wilson expects speedy recovery but won't rush". mlb.com. Retrieved April 2, 2014. ↑ Gurnick, Ken (April 2, 2014). "Dodgers claim Minors infielder Triunfel from Mariners". mlb.com. Retrieved April 2, 2014. ↑ "Dodgers reinstate Matt Kemp; option Mike Baxter to Triple-A Albuquerque". mlb.com. April 4, 2014. Retrieved April 5, 2014. ↑ Gurnick, Ken (April 7, 2014). "Dodgers get Hynes from Indians, designate Baxter". mlb.com. Retrieved April 7, 2014. ↑ Stephen, Eric (April 8, 2014). "Tim Federowicz recalled from Triple-A, Dodgers place A.J. Ellis on DL". truebluela.com. Retrieved April 8, 2014. ↑ "Dodgers reinstate Josh Beckett from the disabled list; option Jose Dominguez to Triple-A Albuquerque". mlb.com. April 9, 2014. Retrieved April 9, 2014. ↑ Gurnick, Ken and Teddy Cahill (April 16, 2014). "Wilson activated off DL; Rodriguez sent down". mlb.com. Retrieved April 16, 2014. ↑ Gurnick, Ken and Teddy Cahill (April 21, 2014). "Figgins to Triple-A as LA calls up Dominguez". mlb.com. Retrieved April 21, 2014. ↑ Miller, Scott (April 27, 2014). "With Hanley ailing, infielder Triunfel recalled". mlb.com. Retrieved April 27, 2014. ↑ Gurnick, Ken (April 29, 2014). "Reliever Rodriguez recalled, infielder Triunfel optioned". mlb.com. Retrieved April 30, 2014. ↑ Gurnick, Ken (April 30, 2014). "Dodgers bring up Olivo, option Federowicz". mlb.com. Retrieved April 30, 2014. ↑ Gurnick, Ken (May 1, 2014). "Dodgers promote Patterson to start Game 2". mlb.com. Retrieved May 2, 2014. ↑ Gurnick, Ken (May 2, 2014). "Shoulder getting better, but Ryu lands on DL". mlb.com. Retrieved May 2, 2014. ↑ Gurnick, Ken (May 4, 2014). "LA to recall Fife, option Dominguez". mlb.com. Retrieved May 4, 2014. ↑ Stephen, Eric (May 5, 2014). "Pedro Baez recalled by Dodgers, Stephen Fife optioned". truebluela.com. Retrieved May 5, 2014. ↑ Fordin, Spencer (May 6, 2014). "Kershaw returns from DL; Baez sent to Double-A". mlb.com. Retrieved May 7, 2014. ↑ Stephen, Eric (May 14, 2014). "A.J. Ellis activated from DL, Dodgers option Miguel Olivo to Triple-A". trueblue.com. Retrieved May 17, 2014. ↑ Gurnick, Ken (May 21, 2014). "Dodgers place Uribe on DL, promote Arruebarrena". mlb.com. Retrieved May 21, 2014. ↑ Bloom, Earl (May 26, 2014). "Ellis injured during no-no celebration". mlb.com. Retrieved May 26, 2014. ↑ Miller, Scott (May 28, 2014). "Rolled ankle sends Crawford to disabled list". mlb.com. Retrieved May 28, 2014. ↑ Eric Stephen (June 6, 2014). "Dodgers option Erisbel Arruebarrena to Triple-A, call up Miguel Rojas". truebluela.com. ↑ Saxon, Mark (June 14, 2014). "Dodgers activate A.J. Ellis from DL". ESPN. Retrieved June 14, 2014. ↑ Gurnick, Ken (June 15, 2014). "Figgins on DL with quad strain; Triunfel called up". mlb.com. Retrieved June 15, 2014. ↑ Gurnick, Ken (June 25, 2014). "Dodgers call up Robinson, designate Romak". mlb.com. Retrieved June 26, 2014. ↑ "Dodgers Reinstate Juan Uribe, Send Triunfel To Minors". CBS Sports. June 26, 2014. Retrieved June 29, 2014. ↑ Lananna, Michael (June 29, 2014). "Dodgers place Turner on DL, recall Triunfel". mlb.com. Retrieved June 29, 2014. ↑ Gurnick, Ken (July 4, 2014). "Dodgers recall Arruebarrena, Triunfel to Triple-A". mlb.com. Retrieved July 4, 2014. ↑ Gurnick, Ken (July 6, 2014). "Dodgers place Arruebarrena on DL, promote Triunfel". mlb.com. Retrieved July 6, 2014. ↑ Gurnick, Ken (July 8, 2014). "Hip injury forces Beckett to DL". mlb.com. Retrieved July 8, 2014. ↑ "Dodgers designate Clint Robinson for assignment, reinstate Carl Crawford from the 15-day DL". mlb.com. July 10, 2014. Retrieved July 13, 2014. ↑ "Dodgers option Pedro Baez to Triple-A". Insidesocal.com. July 13, 2014. Retrieved July 19, 2014. ↑ "Turner activated, Triunfel optioned". mlb.com. July 19, 2014. Retrieved July 19, 2014. ↑ Dilbeck, Steve (July 22, 2014). "Dodgers send Paco Rodriguez back down, activate Josh Beckett". latimes.com. Retrieved July 24, 2014. ↑ Gurnick, Ken (July 27, 2014). "Dodgers send Arruebarrena to High A team". mlb.com. Retrieved July 28, 2014. ↑ Gurnick, Ken (July 28, 2014). "Dodgers fortify infield with trade for Barney". mlb.com. Retrieved July 28, 2014. ↑ Stephen, Eric (July 29, 2014). "Dodgers designate Scott Elbert for assignment". truenbluela.com. ↑ Gurnick, Ken (August 2, 2014). "Maholm out for season with ACL tear in knee". mlb.com. Retrieved August 3, 2014. ↑ Stephen, Eric (August 4, 2014). "Chris Perez placed on DL, Dodgers promote Carlos Frias from Triple-A". truebluela.com. Retrieved August 4, 2014. ↑ Lananna, Michael and Ken Gurnick (August 5, 2014). "Paco lands on DL, the latest hit to Dodgers' bullpen". mlb.com. Retrieved August 6, 2014. ↑ Gurnick, Ken and Michael Lananna (August 6, 2014). "Dodgers designate infielder Figgins for assignment". mlb.com. Retrieved August 7, 2014. ↑ Gurnick, Ken (August 7, 2014). "Dodgers acquire righty Hernandez from Phillies". mlb.com. Retrieved August 7, 2014. ↑ Stephen, Eric (August 8, 2014). "Josh Beckett placed on DL with left hip impingement". truebluela.com. Retrieved August 8, 2014. ↑ Hernandez, Dylan (August 9, 2014). "Dodgers acquire right-hander Kevin Correia from Minnesota Twins". LA Times. Retrieved August 10, 2014. ↑ Gurnick, Ken (August 10, 2014). "Dodgers place Hanley on DL, promote Barney". mlb.com. Retrieved August 10, 2014. ↑ Adams, Steve (August 10, 2014). "Dodgers Designate Colt Hynes For Assignment". mlbtraderumors.com. Retrieved August 10, 2014. ↑ Stephen, Eric (August 11, 2014). "Dodgers activate Kevin Correia, option Pedro Baez to Triple-A". truebluela.com. Retrieved August 11, 2014. ↑ "Dodgers place Hyun-jin Ryu on DL, recall Pedro Baez". mlb.com. August 15, 2014. Retrieved August 16, 2014. ↑ Stephen, Eric (August 16, 2014). "Juan Uribe placed on 15-day DL, Dodgers recall Carlos Triunfel". truebluela.com. Retrieved August 16, 2014. ↑ Lananna, Michael (August 19, 2014). "Dodgers Arruebarrena recalled, in lineup at shortstop". mlb.com. Retrieved August 20, 2014. ↑ Lananna, Michael (August 24, 2014). "Hanley back from DL; Arruebarrena optioned". mlb.com. Retrieved August 24, 2014. ↑ Gurnick, Ken (August 31, 2014). "Dodgers activate Ryu and Uribe from disabled list". mlb.com. Retrieved August 31, 2014. ↑ Stephen, Eric (September 1, 2014). "Dodgers call up Joc Pederson, Alex Guerrero, Tim Federowicz, Yimi Garcia". truebluela.com. Retrieved September 1, 2014. ↑ Stephen, Eric (September 2, 2014). "Dodgers recall Carlos Frias, Erisbel Arruebarrena, Miguel Rojas". truebluela.com. Retrieved September 2, 2014. ↑ Stephen, Eric (September 6, 2014). "Dodgers add Bernadina". mlb.com. Retrieved September 7, 2014. ↑ Gurnick, Ken (September 12, 2014). "Dodgers add Elbert to bullpen mix". mlb.com. Retrieved September 12, 2014. ↑ Stephen, Eric (September 13, 2014). "Dodgers activate Paco Rodriguez from DL". Truebluela.com. Retrieved September 13, 2014. ↑ Osborne, Cary (September 16, 2014). "Dodgers promote lefty reliever Daniel Coulombe for bullpen depth". dodgers.mlbblogs.com. Retrieved September 16, 2014. ↑ Gurnick, Ken (June 24, 2014). "Seager, Urias named to Futures Game roster". mlb.com. Retrieved June 24, 2014. ↑ Stephen, Eric (July 3, 2014). "Joc Pederson named Triple-A All-Star". truebluela.com. Retrieved July 3, 2014. ↑ Stephen, Eric (June 3, 2014). "Chris Reed, Scott Schebler among 5 Chattanooga Southern League All-Stars". truebluela. Retrieved June 3, 2014. ↑ Liebhaber, Brandon (June 4, 2014). "Seager, Jacobs make Cal League All-Star Team". milb.com. Retrieved June 5, 2014. ↑ Gunther, Bruce (June 4, 2014). "Loons Land Three On All-Star Team". milb.com. Retrieved June 5, 2014. ↑ "2014 All-PCL Team Announced". milb.com. August 25, 2014. Retrieved August 25, 2014. ↑ Parker, John (August 29, 2014). "Lamb, Nicolino lead Southern All-Stars". milb.com. Retrieved August 30, 2014. ↑ "Cal League announces awards, All-Stars". milb.com. August 22, 2014. Retrieved August 22, 2014. ↑ Dykstra, Sam (August 25, 2014). "Farmer, Velazquez named MWL All-Stars". milb.com. Retrieved August 27, 2014. 1 2 Dykstra, Sam (August 30, 2014). "O'Hearn heads Pioneer League All-Stars". milb.com. Retrieved August 30, 2014. ↑ "2014 Minor League Classification All-Stars". Baseball America. September 12, 2014. Retrieved September 12, 2014. ↑ Liebhaber, Brandon (August 22, 2014). "Seager Named California League MVP". milb.com. Retrieved August 24, 2014. 1 2 3 Jackson, Josh (August 15, 2014). "Los Angeles Dodgers prospect Joc Pederson joins Pacific Coast League 30/30 club for Albuquerque Isotopes". Milb.com. Retrieved August 24, 2014. ↑ Stephen, Eric. "Joc Pederson nearing 30 home runs, 30 stolen bases". Yahoo! Sports. Retrieved August 24, 2014. ↑ Stephen, Eric (August 23, 2014). "Joc Pederson joins 30-30 club, first in PCL in 80 years". True Blue LA. Retrieved August 23, 2014. ↑ "Pederson captures PCL's MVP Award". milb.com. August 28, 2014. Retrieved August 28, 2014. ↑ Heneghan, Kelsie (August 31, 2014). "Lacrus, Rangers advance to AZL semifinals". milb.com. Retrieved August 31, 2014. ↑ "Lookouts Clinch Playoff Berth For First Time Since 2012.". milb.com. August 31, 2014. Retrieved September 2, 2014. ↑ "Lookouts Advance to Southern League Championship!". milb.com. September 8, 2014. Retrieved September 9, 2014. ↑ Jackson, Josh (September 13, 2014). "Rosa boosts Suns to Southern League title". milb.com. Retrieved September 13, 2014. ↑ Hart, Brandon (August 31, 2014). "Raptors Clinch Playoff Berth with Win". milb.com. Retrieved September 2, 2014. ↑ Maun, Tyler (September 7, 2014). "Adams slams Owlz to Pioneer League Finals". milb.com. Retrieved September 7, 2014. ↑ Weisman, Jon (September 17, 2014). "Dodgers officially move Triple-A affiliation to Oklahoma City". dodgers.com. Retrieved September 17, 2014. ↑ Weisman, Jon (September 17, 2014). "Oklahoma will host two Dodger minor-league teams: Dodgers bring Double-A affiliation to Tulsa". dodgers.com. Retrieved September 17, 2014. ↑ Stephen, Eric (September 26, 2014). "Joc Pederson, Corey Seager, Julio Urias named Dodgers minor league players of the year". truebluela.com. Retrieved September 26, 2014. ↑ Stephen, Eric (November 14, 2014). "Arizona Fall League recap: Corey Seager Darnell Sweeney, Scott Schebler end strong". truebluela.com. Retrieved November 24, 2014.